As the first in her family to go to college, Chantel White is a role model for her two younger brothers, ages 12 and 20. She even inspired her older brother to go back to school and earn a business degree at age 27. Transitioning is a challenge for many first-generation college students. Without guidance from a trusted adult, it can be difficult to figure out the technical details. Fortunately, there are programs that offer support at every level, from walking high school students through the application process, to pairing them with mentors and tutors once they’re enrolled. 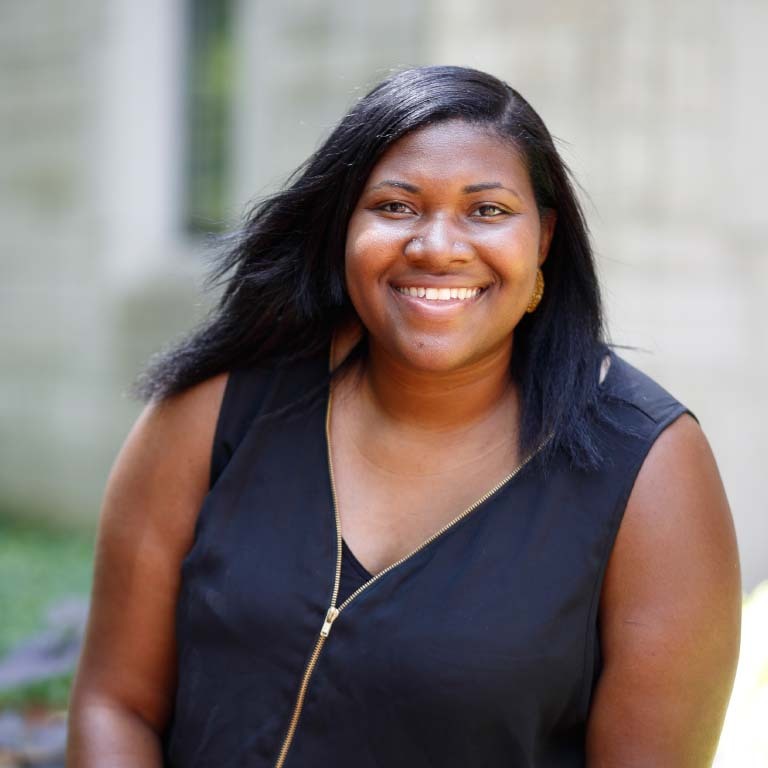 Chantel, a social work major at IU Bloomington, found the Groups Scholars Program through word of mouth. She looked up the requirements herself and relied on her high school guidance counselor to explain the process. “No one ever told me what a recommendation letter was,” Chantel said. Luckily, plenty of people were happy to write her one. Chantel began preparing for college her sophomore year of college. She volunteered regularly in the community, and her mentors helped her find waivers for SAT prep courses and college application fees. The thing I really love about Groups—besides that they help out financially—is there’s also a sense of community. Those same mentors helped her find Groups. The Groups Scholars Program rewards Chantel and other scholars for continuing to work hard in college. After freshman year, scholarship money is based on academic achievement: the higher the student’s GPA, the more money they receive the following semester. The program is designed for first-generation college students from minority backgrounds. Students prove they can compete at the Indiana University level by taking three college courses for six weeks and meeting a GPA requirement at the end of the summer. Students who complete the program requirements become Groups Scholars and attend IU for free their freshman year. “The thing I really love about Groups—besides that they help out financially—is there’s also a sense of community,” says Chantel, who has also worked at the Neal-Marshall Black Culture Center since her freshman year.